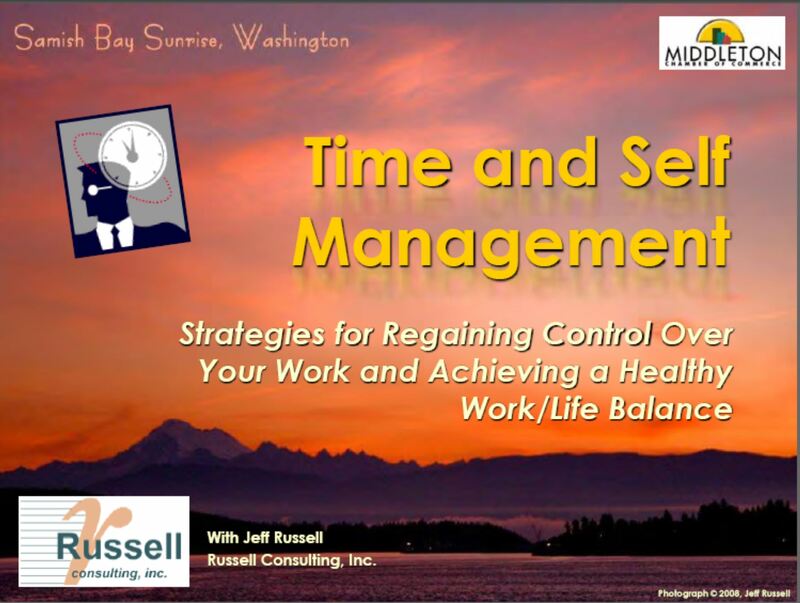 Time and Self-Management – Russell Consulting, Inc.
Time and Self-Management - Jeff presented his workshop on self-management to a large crowd at the Middle Chamber of Commerce November Ask the Expert session. This focused on real challenge of time management — which is managing your priorities and your attention. He shared powerful tips for regaining control over your life by knowing what’s important then organizing your activities around these priorities. Check out the link (Time and Self-Management) for a PDF version of the PowerPoint slides. Contact RCI for more information on our workshops.